I have been compensated for this connected home post in the form of a Best Buy Gift Card and/or received the product/service at a reduced price or for free. All opinions are my own. Like many houses these days, ours is practically overflowing with technology. I couldn’t even tell you offhand the number of devices currently connected to my network! I have smart light bulbs, smart BluRay players and a DVR that’s smarter than both combined. What didn’t I have? A good enough router to take advantage of all that technology at the same time. I also didn’t have a security camera that told me whether the air in my home was safe. Now I have both! 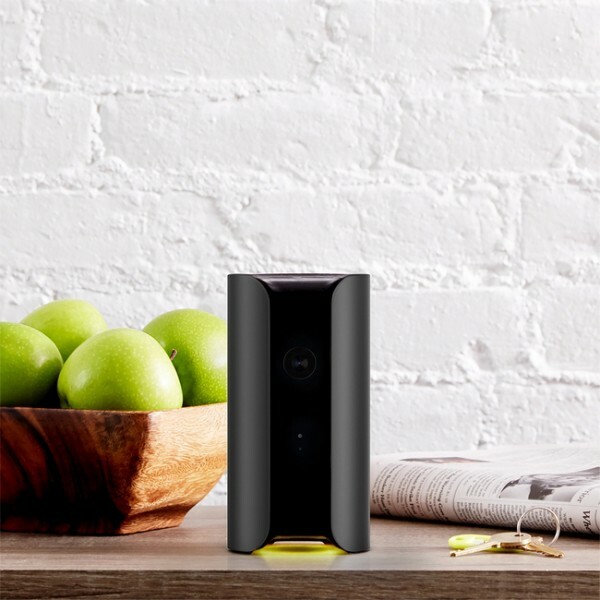 The Canary Indoor Wireless High-Definition All-In-One Home Security System is one cool little birdie! Well, not really a bird, it looks nothing like its namesake. I’m convinced they call it that because it also detects the air quality in your house, kind of like how miners used to send canaries down to see if they’d croak from carbon monoxide poisoning or something. So what does it look like? Absolutely nothing like a security camera, that’s for sure! Canary is a sleek, fashionable system that blends in beautifully with your decor. It looks more like an aromatherapy diffuser or something along those lines, which is so perfect because it’s not advertising “hey, I’m watching you!” That way, if the worst case scenario occurs and someone does break into your house, they don’t even know they’re being recorded. I really love that about Canary. Easy to set up: it took just minutes to set up and the Canary app told me exactly what to do every step of the way. Captures everything in HD: you’ll see your world come alive in 1080p resolution, with a 147-degree field of view to reduce blind spots. It even has infrared night vision. It’s super smart: the Canary learns your habits. As it adapts, it’ll send you fewer “false alarm” notifications from regular activity, like your cat jumping on the couch. Of course, it will keep sending you notifications about irregular events in your home! Easily change the mode from armed to disarmed to private. Comes with a 90+dB siren + the ability to “sound the alarm” with a touch of a button on your app. All of that just covers what Canary can do to keep your home safe from outsiders! 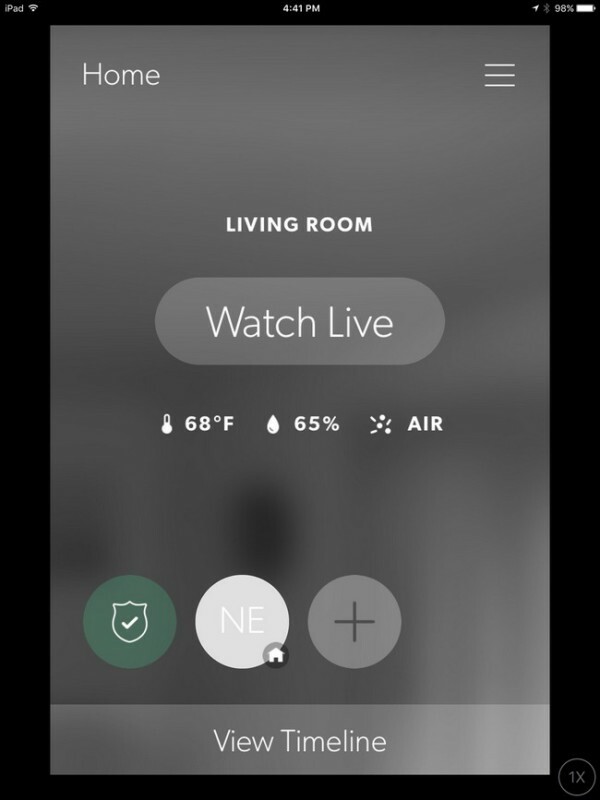 The Canary HomeHealth feature lets you monitor the air quality and the temperature of your home. It’ll even tell you the humidity level! Technology like Canary needs a great internet connection to really maximize its potential. Most of us already have some sort of broadband internet, but are we really fully taking advantage of it? Jacob was constantly complaining about lag in his games and video-watching experience. I was spending extra time working because my internet just wasn’t fast enough to keep up with me. I upgraded my internet to a faster speed (mostly because my archaic cable company recently tightened the caps on our data allowances and I had no choice but to go up or pay dearly for going over) but I was still using an ancient router to deliver it to my devices. When the Netgear Nighthawk® DST—AC1900 DST Router & DST Adapter arrived, Jacob and I both did the dance of joy. It’s just a beautiful router. Absolutely beautiful! What’s so great about the Netgear Nighthawk® DST? The Netgear Nighthawk® DST is designed for people like my son- gamers and streamers who hog bandwidth like fiends. With three powerful antennas and a 1GHz dual core processor, it makes sure your connection reaches you where you want it, when you want it. The Nighthawk® is designed with advanced features to eliminate lag in video games and streaming media. The “DST” stands for “dead spot terminator,” and terminate dead spots it certainly does! The Nighthawk comes with one DST adapter (you can buy more) that you can place in a spot of your home that doesn’t quite pick up WI-FI all that well. I stuck it in Jacob’s room to boost the signal, since his room is in the middle of the house anyway. Setting up the Netgear Nighthawk is easier than I thought it would be, especially since it comes with GeekSquad support. If you get stuck at any point, just chat with a Geek Squad member and they’ll help you. Even if you don’t get stuck, I recommend chatting with them to help you go through advanced features of the router so you can fully unlock the potential. Since setting it up, Jacob isn’t complaining about lag anymore at all. Latency issues are a thing of the past when he’s trying to take down bad guys (or zombies, as the case may be!). I can catch up on all my favorite streaming shows while he’s playing without either of us grumping that the other is hogging up the bandwidth. It’s a happy, connected house! Both the Canary and the Netgear Nighthawk are available at BestBuy. In fact, the Netgear® Nighthawk™ DST Router and DST Adapter with Geek Squad included is available EXCLUSIVELY at BestBuy! That is so neat that you can sound an audible alarm even when you aren’t home. Does the Canary record to Cloud or hard drive? Wow, that is really neat that it alerts you to sound even when you are not home. You have got to love technology. I like this Netgear Router and I have problems getting a connection in my living room because it is far from the router. I need to get the Nighthawk adapter and router next time I get a new one! These new devices really are cool. the fact that the canary adapts to your families habits to send fewer false alarms is amazing in itself. BB NEEDS THAT ROUTER!!! With 3 of us using the internet for our livelihood, sometimes the wifi here isn’t at its fastest and that costs us time & money- something most of us could use more of. Will definitely be checking out Best Buy for that Netgear! Gracias for the intro. That’s good that it determines dead spots. We’ve got them all over this apartment. 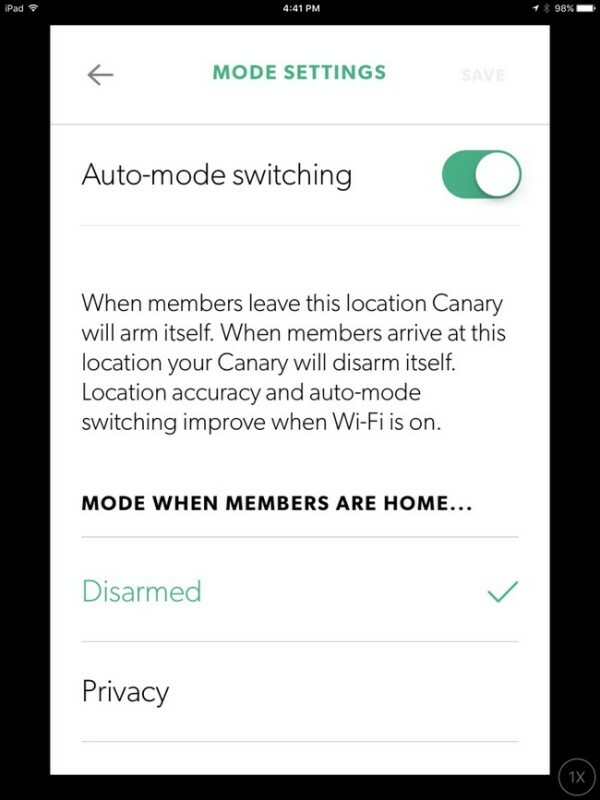 The canary sounds like an awesome security system. I love that it is easy to set up and will not take away from my home decor. I like that the Canary Security System doesn’t look like one. And that it detects the air quality is amazing. Looks like a great system. My favorite feature is that it doesn’t look like a security system! The external monitoring features are great! This is so cool. I know what I am asking for Christmas this year! We’ve been looking into home security and this is at the top of our list. I LOVE that it blends in and doesn’t stand out. I really like how discreet this system is. I’d feel safe and I’d love to be able to check in while I’m out. I just got mine with a router and can’t wait to test it out. It’s going to be so awesome knowing how discreet and safe we will feel. Have you tried it out yet? I have to be honest, I keep worrying that ghosts will pop up on it, lol! I’ve seen too many cheesy hand-cam horror movies! My father is really into home security and being able to see what is around the house at all times. He used to have this system with small TVs and monitors; he’d love to hear about something like this. It’s definitely easier than the closed-circuit TV systems of yesteryears. You can connect more than one to your app, and since it alerts you to strange movement when it’s armed, you don’t even have to monitor it. Your dad would love it! i am totally lovin this. you can feel save from anywhere. technology is sooo advance its amazing. Isn’t it amazing how advanced we’ve become? Maybe one day we’ll get those flying cars the Jetsons promised us! It is awesome, though, that I can check in on my house no matter where I’m at.